The sea is calling, but the reluctant siren will do anything not to answer. . . . A year after the events that killed her sister and turned her into a siren, Vanessa is desperately trying to put her family back together and reclaim a “normal” life. But no matter how many times she swims, or how much salt water she drinks, she can feel herself getting weaker and weaker. She has no idea how to survive as a siren and she doesn’t want to know the truth about her newly discovered identity. It’s just too horrifying. Then her biological mother shows up at her summer house in Maine—she is one of the Nenuphars, the most powerful of all sirens. She promises that she wants to help the daughter from whom she’s been separated for far too long. But is she to be trusted? Now Vanessa must face the harshest reality of all—to survive she must endanger and injure others—but is that any sort of life? 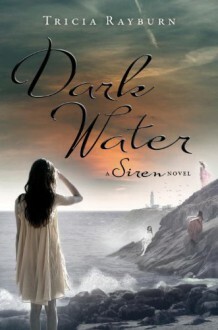 Chilling and romantic, Dark Water explores questions of identity as old as the sea, and brings the Siren trilogy to a startling conclusion.